In a nation that has innumerable conversations over trifling matters such as Arnabai??i? ?s noisy exit and the return of Koffee with Karan, it helps to keep injecting more trivial topics for discussion just to keep the chattering classes busy. So Iai??i? ?d like to formally table the need for toponymic surnames to the grand conveyor belt of inane national confabulations. Now, ai?? ?Toponymic surnamesai??i?? may sound like a yawn-worthy dissertation topic but itai??i? ?s actually far more interesting than you think. Simply put, these are last names derived from place names. To give you a lightning speed crash course, letai??i? ?s examine the name Johann Sebastian Bach. Bach, as you know, is one of the greatest composers of classical music. His surname literally means ai?? ?someone who lives by a streamai??i??. Next, letai??i? ?s put Quentin Tarantino under the microscope. Tarantino is an indication that his forefathers might have been from Taranto, a city in South East Italy. Leonardo DiCaprio has it. 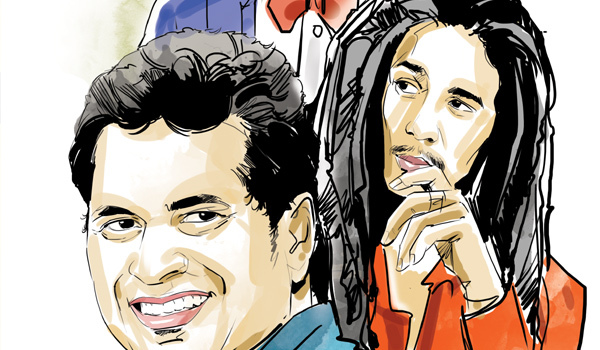 So do Sachin Tendulkar, Jane Fonda and Bob Marley. The beauty of it is that it doesnai??i? ?t overtly give the ears any inkling of gender. Nor does it drop a hint of the class or caste. Which is precisely why, I think itai??i? ?ll make a fab master template for India. Weai??i? ?ve been stuck with surnames that have caste overtones. A ai???Chaturvediai??i?? is an assertion of punditry. While a ai???Chamarai??i?? is a harsh reminder of social inequity. Given what weai??i? ?ve gone through for centuries, itai??i? ?s time to outgrow the confines defined by surnames. Itai??i? ?s time we asked why an Agarwal should be perceived as a Bania all his life? Why must an Iyer be viewed through the prism of his sacred thread? Isnai??i? ?t there a way we could arrive at a surname without social baggage and yet be rooted to our culture? Place-based surnames offer that freedom. Some liberal poets discovered this secret way before us. Thatai??i? ?s why you have a Majrooh Sultanpuri, Sahir Ludhianvi, and a Hasrat Jaipuri. If you wish to carry on the tradition, you should start with your hometown and add it as your appellation. Wanna use your birth place as your surname? Place your views to Ai? ?anantha@albertdali.com.